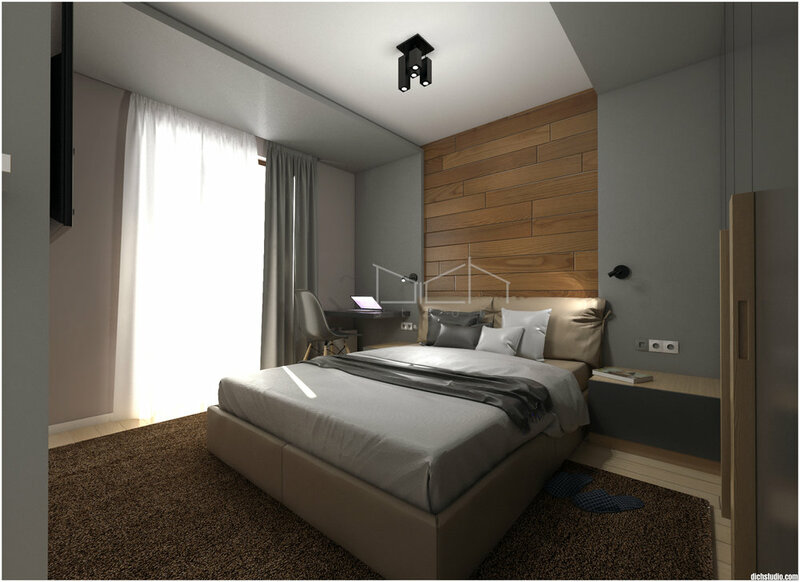 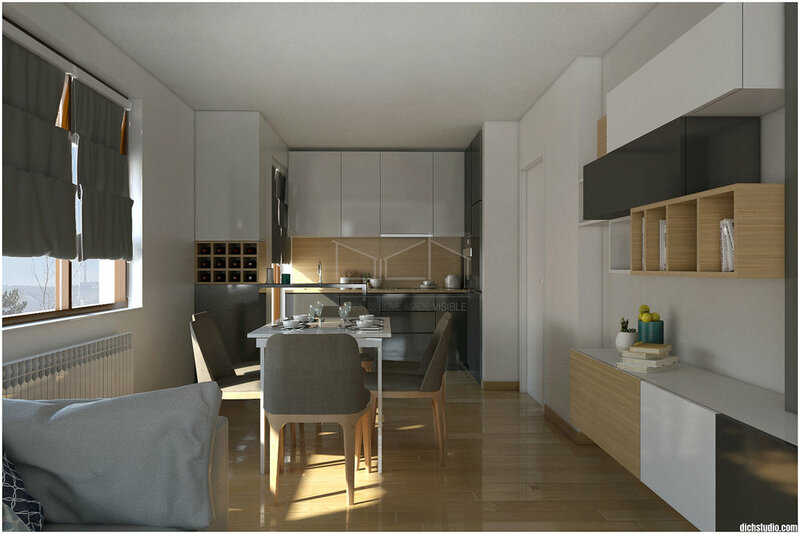 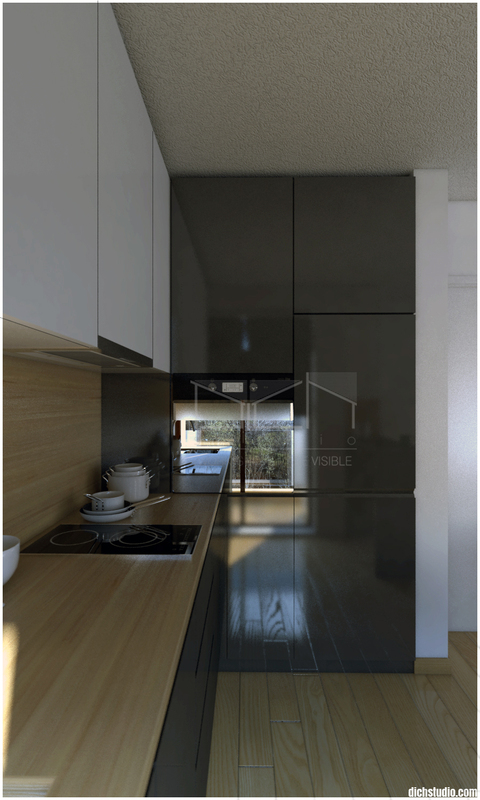 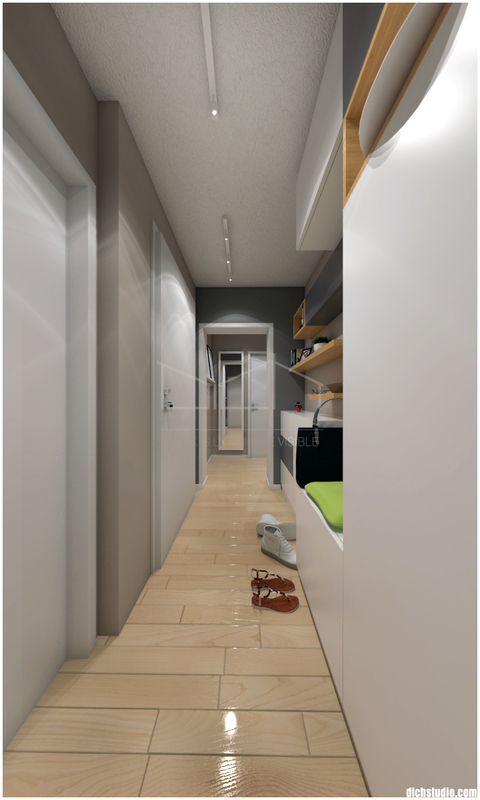 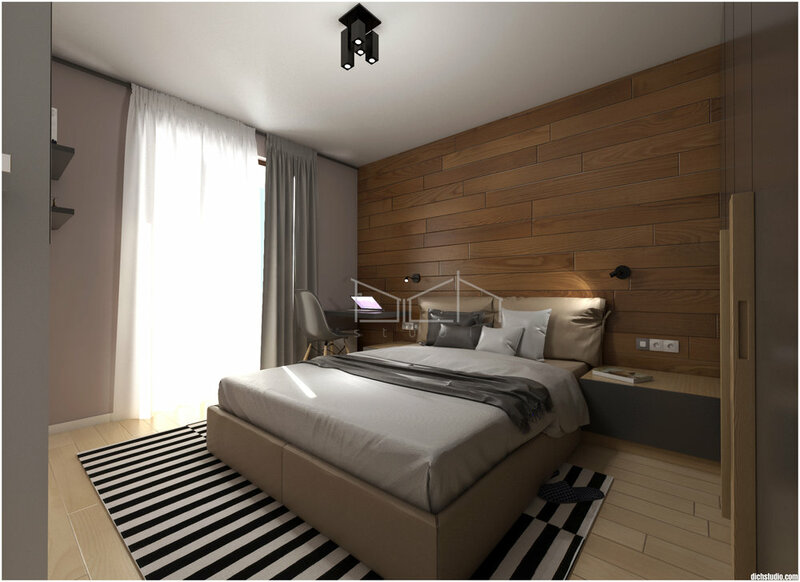 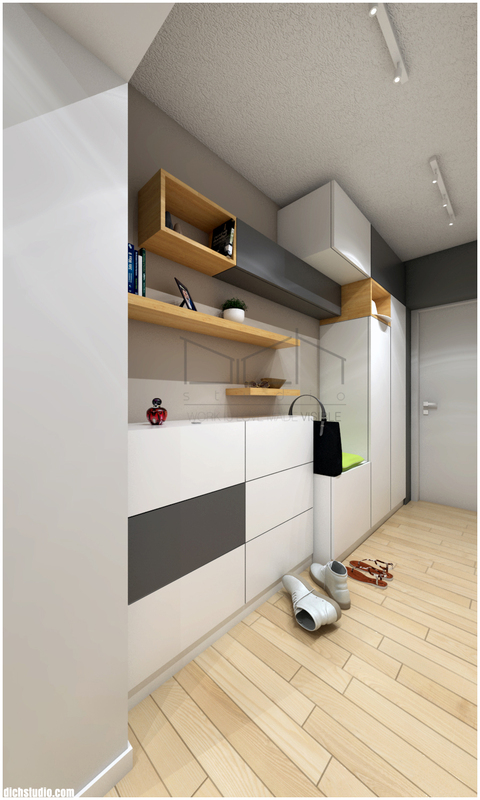 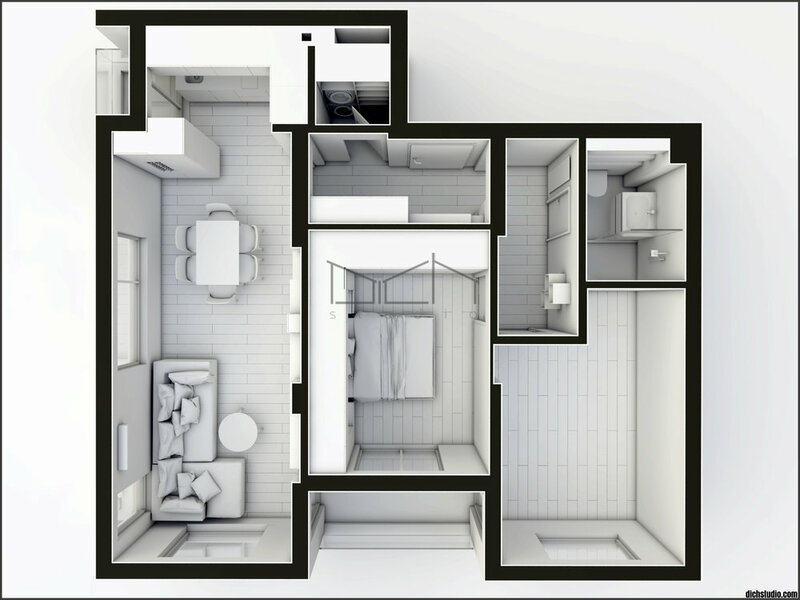 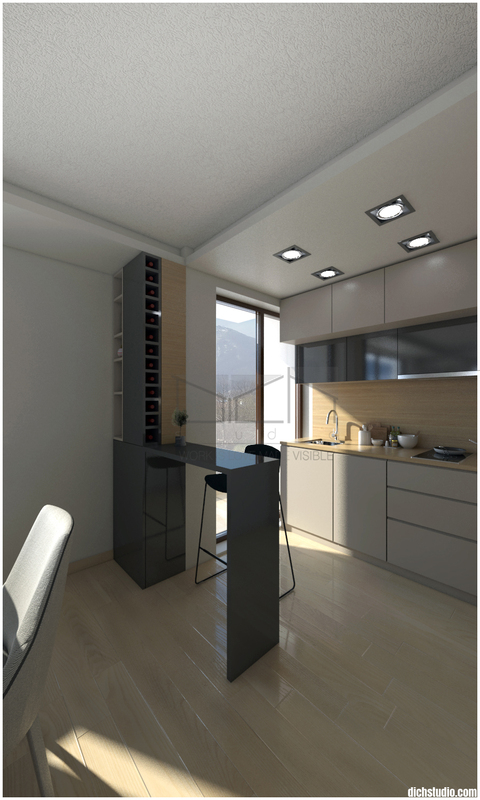 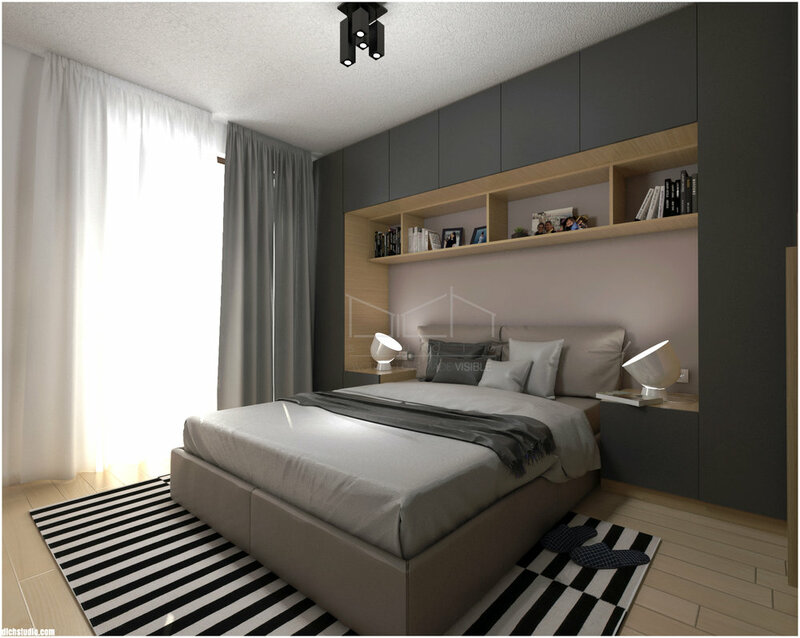 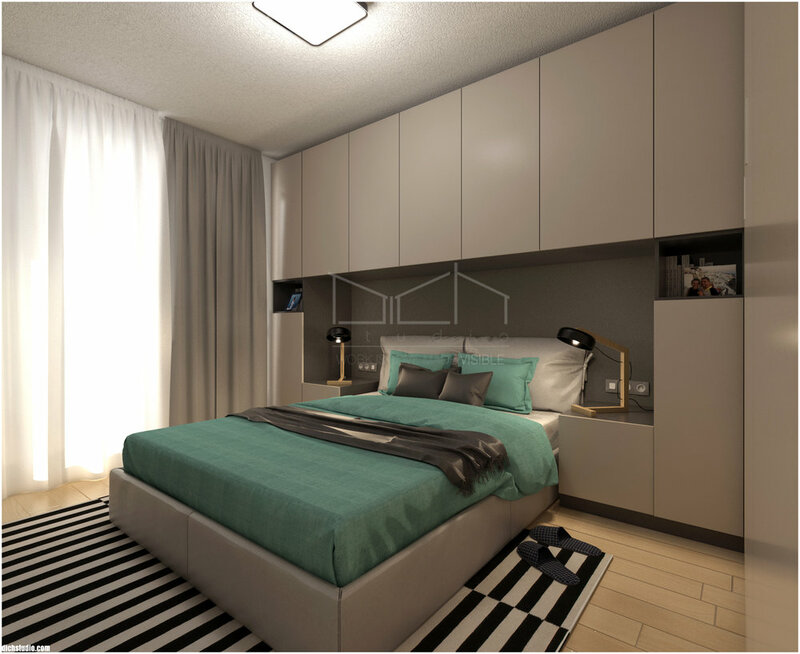 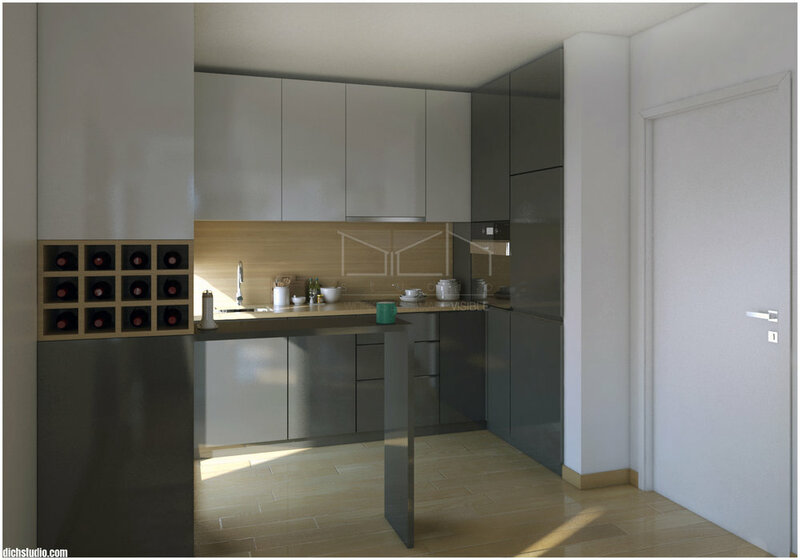 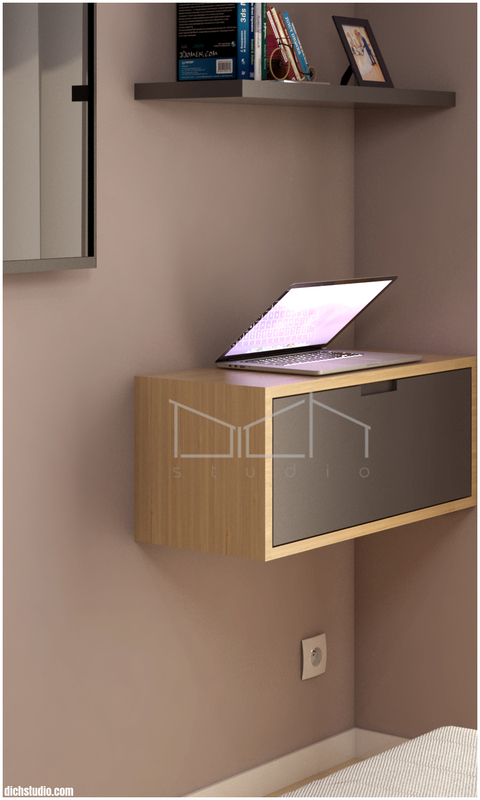 Complete interior design for a 2 bedroom apartment in Boyana, Sofia. 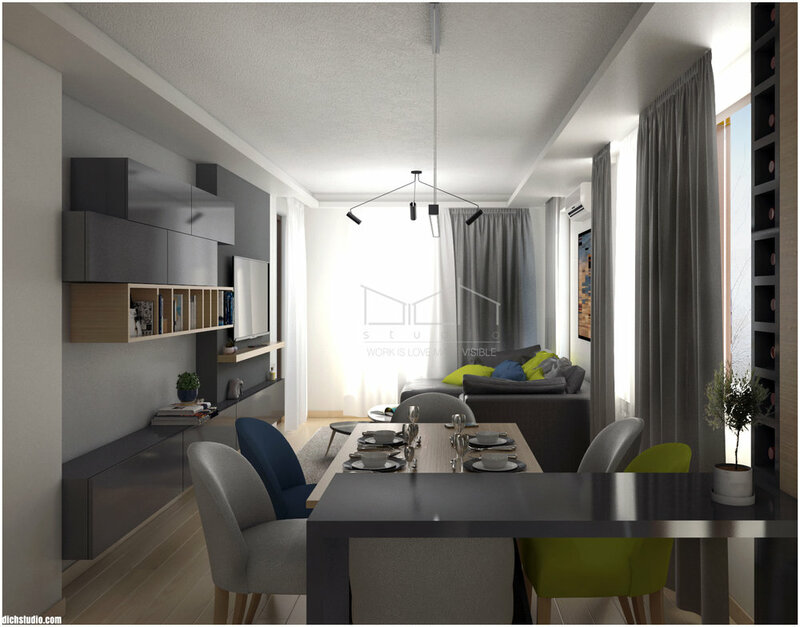 Our challenge with the design of this interior was to carefully set all the functions this apartment will host in the future. 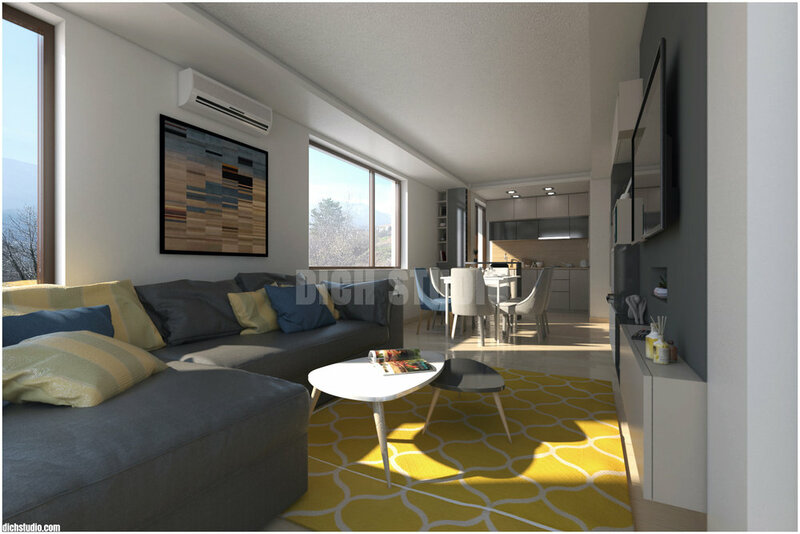 In the open space living room we managed to insert a small kitchen with a dinning zone with a table for 6 and a living space with a wall-mounted tv set. 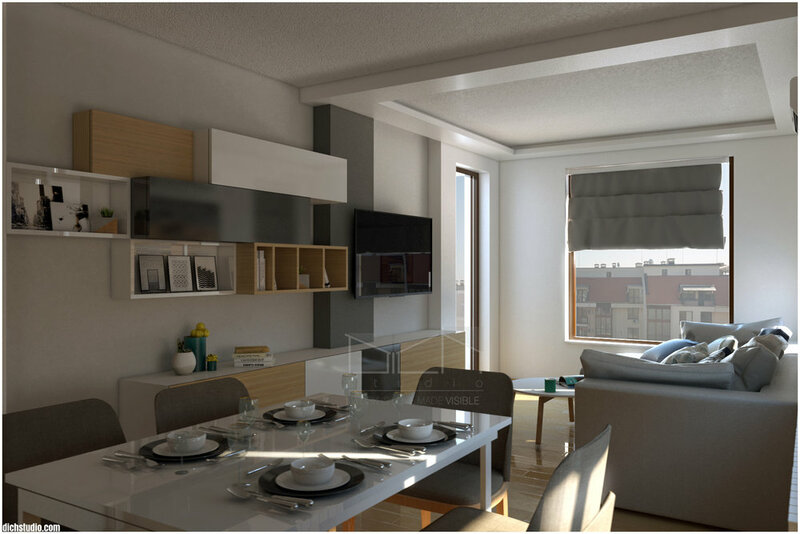 Our client's wish was to avoid grouping too many furniture around the living room having in mind its limited space. 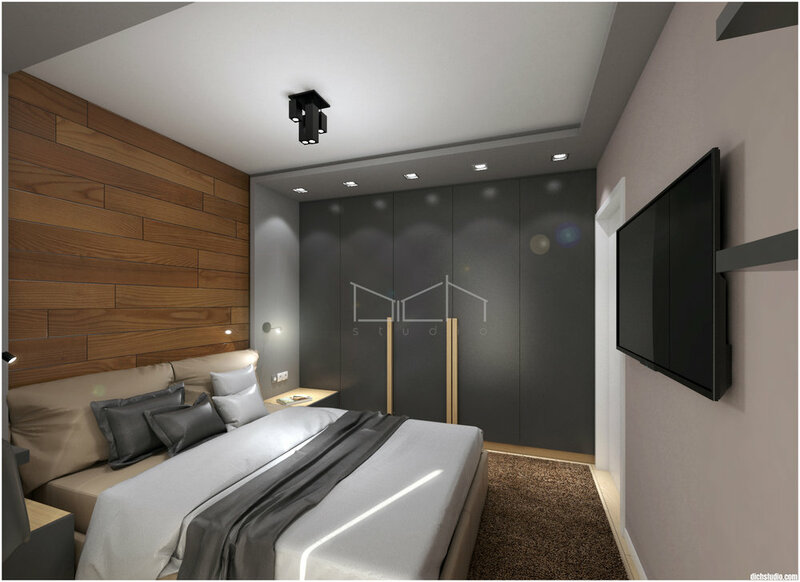 The major change was the entrences of the two bedrooms which were moved slightly in order to open up a larger space for one of it and put a wardrobe inside which wasn't possible before.